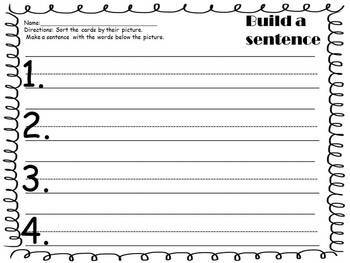 This activity is a sentence building activity that will promote beginning reading and writing skills. During this activity students will sort the cards by the similar pictures. They will then take the cards and arrange them in order to create a sentence. 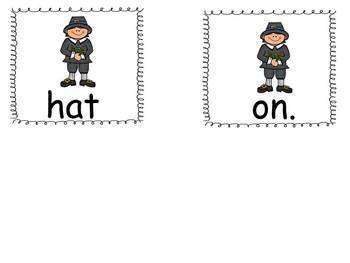 Students will also use sentence structure clues to help them build the sentence (capital letter at the beginning of a sentence and punctuation at the end) as well as thinking if the sentence makes sense. 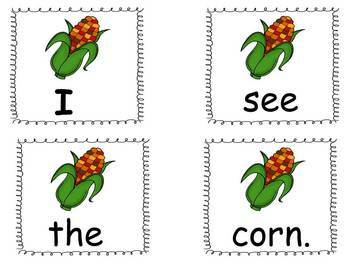 After the sentence is created students will write the sentence down. These sentences contain many words that are found on the Dolch pre-primer and primer word lists as well as Thanksgiving words. The sentences available vary in difficulty to provide appropriate learning opportunities for all abilities.